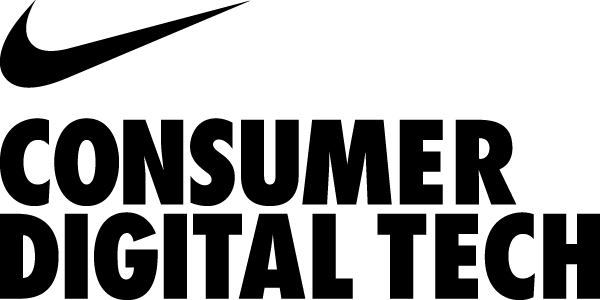 YOU'RE INVITED TO THE RE:INVENT NIKE AFTER PARTY! JOIN US AND EXPERIENCE THE SILICON FOREST. The proliferation of electronic modules, development tools, and do-it-yourself communities has led to a world where the creation of hardware projects is accessible to people of all skill levels. With dedication and a willingness to learn, explore, experiment, fail, and succeed, one can build just about anything that comes to mind. In an attempt to inspire new and existing electronics enthusiasts, Joe will detail a few of his hardware-based projects, including interactive artwork, a tool for hacking embedded systems, and giant, ridiculous contraptions made for television. Joe Grand was born as a hacker. In a time when tinkering with computers and electronics was a guarantee for ridicule and torment, Joe (formerly known as Kingpin) pushed back to forge his own path: figuring out how to make free telephone calls as a 7-year-old in 1982, helping set the standard for computer security vulnerability research and disclosure with the infamous hacker group L0pht Heavy Industries, bringing engineering to the masses on Discovery Channel's Prototype This, and running his own product design firm, Grand Idea Studio (www.grandideastudio.com). At Xipiter we've been working on the security of embedded systems and IOT devices. Xipiter has built several industry unique trainings on mobile security and embedded device security. Each of which has sold out at BlackHat (the largest security conference in the world) for three years in a row. We've helped numerous manufacturers secure their embedded devices. From Point Sales and Entertainment Systems to the more esoteric vendors of Gaming systems (lotto, casino, etc) and Industrial Controls Systems. We also publicly blog about our exploitation of these devices. Our talk is about our experiences over the last several years and how we're tackling the problem of visibility into the security of these "blackbox" systems. Systems we all use and rely upon everyday (mostly unknowingly) These systems are woefully insecure. We'll talk about why and how we propose to solve the problem. Stephen A. Ridley is a security researcher at Xipiter. He has more than 10 years of experience in software development, software security, and reverse engineering. Prior to Xipiter, Mr. Ridley served as the Chief Information Security Officer of a financial services firm and prior to that was a Senior Researcher at Matasano. He also was Senior Security Architect at McAfee, and a founding member of the Security and Mission Assurance (SMA) group at a major U.S defense contractor where he did vulnerability research and reverse engineering in support of the U.S. intelligence community. He has spoken about reverse engineering and software security at Black Hat, ReCon, CanSecWest, EuSecWest, Syscan and other prominent information security conferences. Stephen is a co-author of "The Android Hacker's Handbook" published by Wiley & Sons.